Justice is a fundamental American value. Unfortunately, barriers to the justice system continue to exist, even at local levels, and for common case types. It’s tough to wade through the legal processes for name changes, fee waivers, small claims, and the like without an attorney’s help, but financial constraints can pose a problem. What’s more, underserved constituents who must prioritize work and childcare schedules may be less able to visit a courthouse in person and endure long waits during set daytime hours. It can be near impossible for anyone to drive through areas choked with traffic to a courthouse on the other side of town on a lunch break or before closing. The good news is that straightforward ways to break down these barriers exist. Governments can provide easy access to lower-cost alternatives to the court system. These alternatives leverage modern technology and mirror the intuitive, 24/7 online experience all citizens have come to expect in their everyday lives. The solutions accelerate access to justice, which, in turn, leads to more equitable and inclusive communities. They also lighten the load for courts and save time and money in an environment of increasing caseloads and reduced resources. In Clark County, Nevada, the Eighth Judicial District took creative steps to simplify legal processes by implementing e-filing software, similar in idea to TurboTax™, in legal aid self-help centers. The software, installed at kiosks in the centers, helps individuals by turning legal forms into self-guided interviews for more than 20 case types, from child custody to summary eviction to unemployment. An individual’s responses automatically generate all necessary forms for the case filings. The set of qualifying questions also bounces an individual out of the interview if he or she does not qualify or has the wrong form. Not only does this save the constituent time, it saves rejection or denial time and paperwork on the court side. Clark County has also piloted a guided, online dispute resolution (ODR) system in three of the county’s 20 family courts. The system enables divorcing couples in contested cases involving children work through their issues online, with less out-of-pocket expense and without potentially volatile face-to-face situations. The digitally-tracked, online communications reduce stress and can be handled by each parent individually, at his or her convenience, with the option of including a neutral mediator. The innovative combination of alternative dispute resolution practices with rules-based technology and online case management facilitates fast and fair resolutions while increasing court efficiency by dramatically reducing caseloads. Precincts in Travis County, Texas, have implemented ODR, called “pajama justice,” by Justice of the Peace Bill Gravell, for Justice of the Peace courts to manage small claims from civil cases under $10,000 to misdemeanor cases such as speeding. Residents who had to drive some 30 miles for a courthouse hearing can now access a web-based platform and handle their cases from home, at any time of day or night. Rather than wait three to six months for a trial, the ODR process begins immediately upon filing. Not only that, the ease and convenience of the process can lessen tension and save relationships, for example, between neighbors who can work out their own agreement, rather than harbor resentment after a judge’s decision. Complimenting the benefits of resident self-service is the idea of expanding service kiosks as well as payment centers strategically throughout a city. In growing areas where a court may be on one side of town but an increasing number of residents are living on the other side, physically visiting the court may be as much of a barrier as the ability to pay. Courts can partner with local businesses to add kiosks and payment centers for a more equitable distribution of system access. 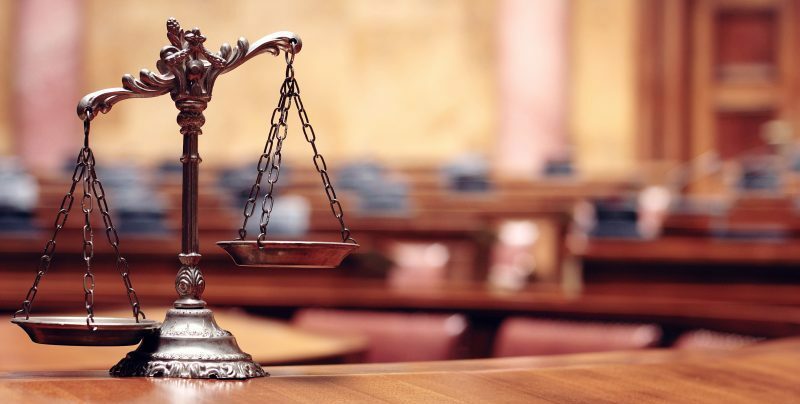 Using payment collection software that automatically updates the court’s case management system (CMS), defendants can more easily access the justice system without further delaying the court’s docket. In some cases, the defendant may even be able to e-file the appropriate documentation directly into the court’s CMS using a citizen-facing portal. The longer a case remains open, the more work it takes to close. When defendants fail to show up for court dates, the court’s caseload builds and resource investment expands to include warrants and even arrests and incarceration. Failure to appear (FTA) rates can drop significantly with automatic text and phone notifications. These automated, custom messages occur in an audited environment and cut through moves and unopened junk mail, speeding compliance and resolution while relieving the court staff of manually handling communications. Phone tools like Inbound Voice Response (IVR) systems can help reduce the amount of payments clerks have to manually accept as well as decrease the number of calls about case information, court hours, and location. These solutions are powered by modern technology and a cultural context of public engagement. The outcomes are improved constituent services as well as improved internal processes. Successful courts are bringing self-help services to citizens, creating collaborative justice partnerships, and saving time and money along the way. 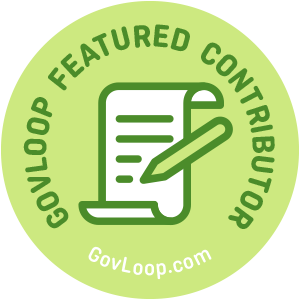 Meredith Trimble is a GovLoop Featured Contributor. She is a former municipal official and Town Council Acting Chair, who focused on strategic planning, annual budgeting, and bonded infrastructure projects. Her government experience also includes posts in both federal and state-level executive branch agencies: Associate Editor of the U.S. Federal Election Commission’s FEC Record; and Director of Education for the CT Office of State Ethics. In her current role as a Senior Content Specialist with Tyler Technologies, Inc., she writes content to help empower those who serve the public. You can read her posts here. “Pajama justice” made me laugh–but helping underserved communities access legal services is no joke! I’m glad to see municipalities working on this issue. I’ve never considered how IT modernization initiatives can improve the justice system. Thanks for sharing!